Markosyan, A, Luque, A, Gordillo-Vazquez, F.J, & Ebert, U. M. (2013). PumpKin: A tool to find principal pathways in plasma chemical models. 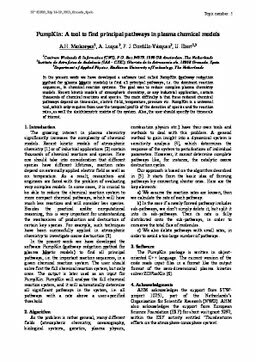 In Proceedings of International Conference on Phenomena in Ionized Gases 2013 (ICPIG 31) (pp. 1–2).